Of course, the reader (especially the reader that is, like me, particularly fascinated by and dedicated to the writing of Gerald Murnane) wonders, which books are included in this small but all important selection, which books have stood out from a lifetime of reading? And yet the question is never answered. At least perhaps until now. In fact, Murnane may have turned whatever reservations he had about reading, writing and publishing into subject matter. 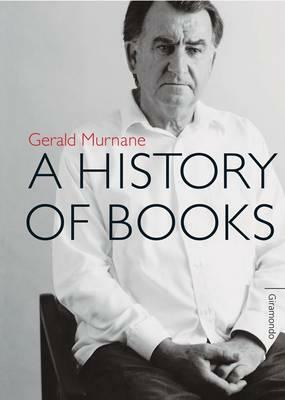 A History of Books (which is published with three shorter works) is Gerald Murnane’s tenth book of fiction, and its concerns are writing, reading and memory. It is divided into nine sections, each of which explores in detail the images that have been left in an unnamed narrator’s by certain books. The narrator moves imperceptibly from one memory to another, from one book to another, from image to image, never making pronouncements, always suggesting, giving the reader a glimpse at something beyond the bend. The final paragraph is sublime. Murnane is one of the most original writers at work any where in the world today. In A History of Books, he is as reflective, elusive, and mesmeric as ever. [missing asset] Will Heyward works for Readings in Carlton and St Kilda. He has been published in the ABR and a few other publications. He helps edit Voiceworks and is a contributing editor for Higher Arc.